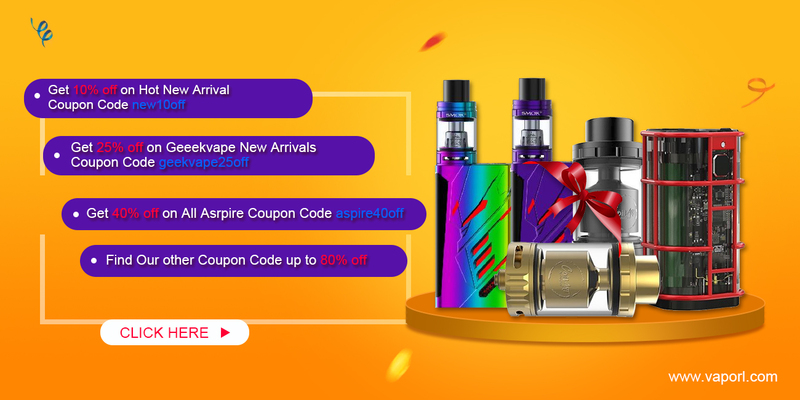 Introduce a new tank from Vandy Vape--Vandy Vape GOVAD RTA Tank Atomizer, features: Bottom airflow and 3D side airflow,Spring loaded clamp style posts; Utilized 510 and most popular wide bore drip tips; 2ml Block removed for easy switch to 4ml capacity. Popular wide bore drip tip is included for better vaping experience. Available in 4 colors. Pre order this Vandy Vape GOVAD RTA Tank Atomizer to get 10% off coupon code "new10off". Do not scatter your sales anymore! Put them here recenzii-mag-f68/ or do not put them anymore!